Through our unmatched customer service and luxurious point-to-point transportation options, Masters Limousine stands out as the leader in Burbank limo service. Over 20 years of transportation experience has allowed Masters Limousine to offer the highest quality services from on-demand chauffeurs to global arrangements. From Burbank Airport to the rest of Southern California, Masters Limousine provides exceptional limo and car service wherever and whenever you need it. A Burbank car service is the easiest way to get to Bob Hope Airport. 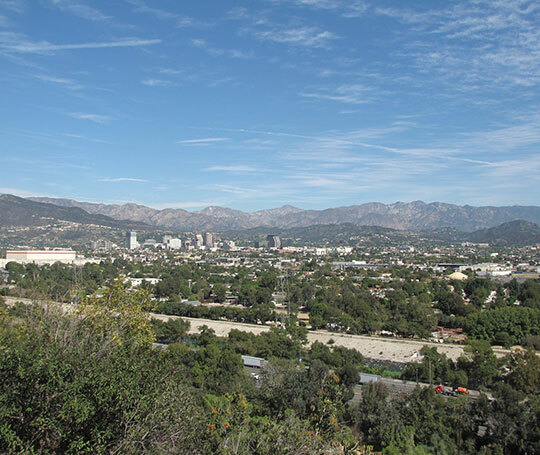 Our Burbank airport transportation can provide pickups and drop offs to Glendale, Pasadena, Sherman Oaks, and more. Book a car service to BUR Airport today! At Masters Limousine, we value integrity, reliability and a commitment to excellence. From our professional chauffeurs to service representatives, we cater to your specific traveling needs with discretion and dependability. We believe transportation should always be stress-free and luxurious – which is why we provide private rides in late-model vehicles that can easily be reserved online. Our BUR airport vehicles include luxury sedans & hybrids, SUVs, and passenger vans. If you’re looking for a professional car service to or from Burbank’s Bob Hope Airport, look no further than Masters Limousine. Our international travelers can handle all their arrangements through one simple reservation with Masters Limousine. We have partnered with over 550 cities worldwide to offer transportation services on a global scale. From limo service at Burbank to airports across the nation and the world, we offer the same level of luxury and professional treatment. Whether you need an executive car service to your Burbank hotel or lift to the airport, Masters Limousine is ready for all of you travel needs. Masters Limousine goes beyond the typical Burbank limo service. We guarantee on-time service and 24-hour availability while offering competitive travel rates, discounts, group account rates, a Frequent Rider Program and VIP services. Masters Limousine can provide executive protection services, celebrity transportation and private hourly charters in Burbank. Our services allow each trip to and from Bob Hope Airport to embody luxury and privacy. Our professional chauffeured limo services in Burbank are available in Van Nuys, Glendale, Pasadena, Sherman Oaks, Studio City, Sun Valley, North Hollywood, Chatsworth, and more. A car service to Burbank airport is the easiest way to travel… don’t deal with traffic jams and airport parking again! Whether booking a reservation online or calling in, our friendly staff can take care of all your arrangements. Please explore our website or mobile app for more details on services and special rates. At Masters Limousine we hope to begin and end your trip in luxury. Not headed to the Burbank airport? We also provide LAX car services. We also provide airport limos and airport to airport transfers between all airports in Los Angeles. We offer airport transfers from Bob Hope Airport to LAX, Ontario International Airport, John Wayne Airport, or Long Beach Airport. Reserve a BUR to LAX airport limo today!